Fruit crate art (1920s), extolling twin miracles: Oranges and California. 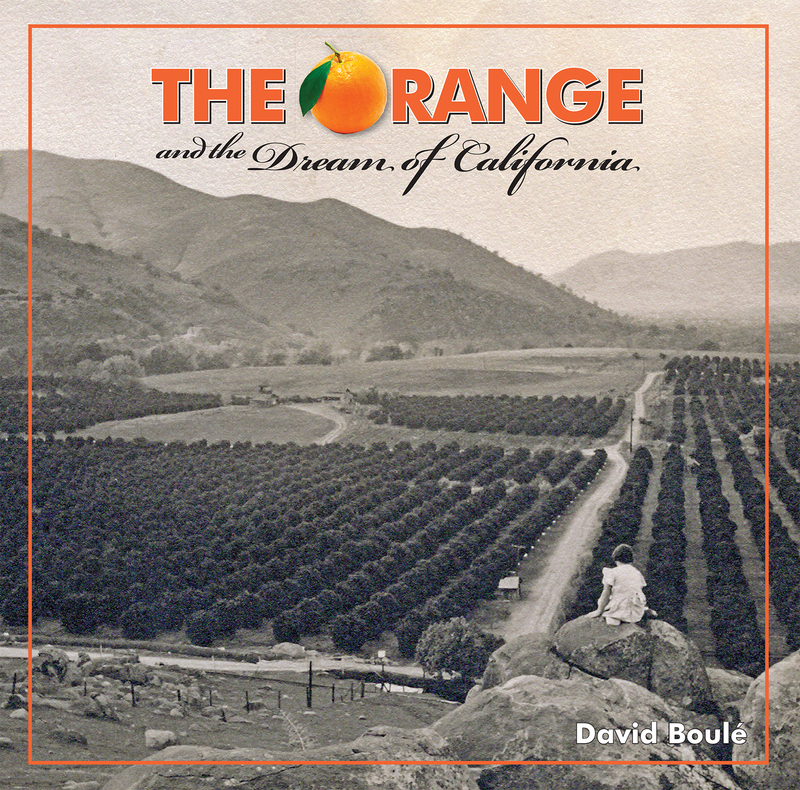 Author David Boulé will speak on “The Orange and the Dream of California” at the Orange County Historical Society’s season kick-off program, Sept. 10, 2015, at Sherman Library & Gardens, 2647 E. Coast Highway, in Corona del Mar. A social hour and optional potluck of appetizers and desserts will begin at 6:30 p.m., followed by the program at 7:30 p.m. The event is free to the public, and I hope to see you there! In his presentation, Boulé will explore the five hundred year, intertwined history of the orange and California and how these two iconic entities have built upon one another to feed the imagination and conjure both a compelling fantasy and a remarkable reality. 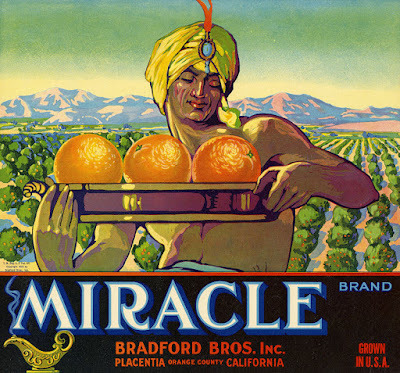 A third generation Californian, Boulé has a lifelong fascination with the history, culture, achievements and uniqueness of the region. 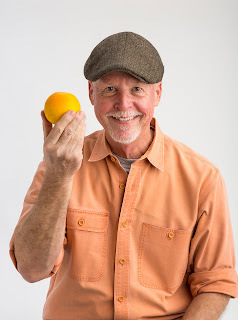 For decades he has scoured paper ephemera shows, flea markets, antique stores, the Internet, libraries, museums and bookshops to collect items and information relating to the California citrus industry. A career in marketing communication has given him particular interest and insight into how the orange helped enhance the popular image of California as a place of potential, reinvention and fulfillment. 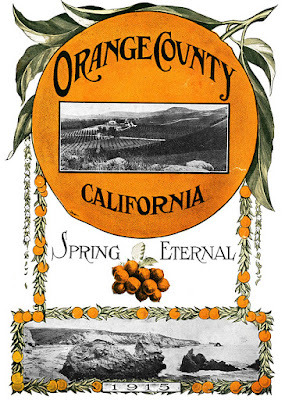 David’s collection includes historic photographs, hundreds of postcards, rare advertising and marketing materials, books, phonograph records, posters, journals and personal papers, newspapers and press clippings, and many California orange-themed souvenirs and promotional items. His collection has been featured in exhibits, he has given numerous presentations. His book, The Orange and Dream of California, was published in 2014 by Angel City Press and will be available for sale at the event.